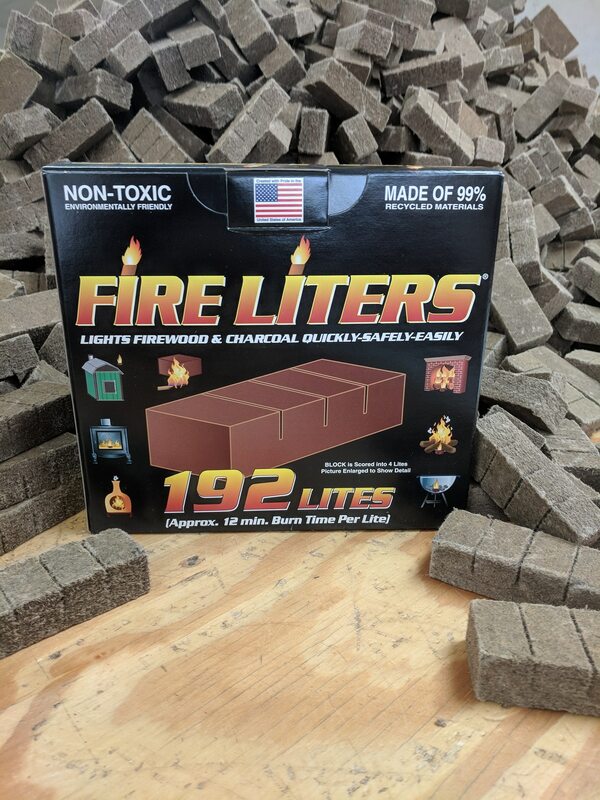 Products - Fire Liters, Inc.
sizes to meet any need. The 12 Lite Bag is the perfect size to take along any time space is limited or the trip is short. 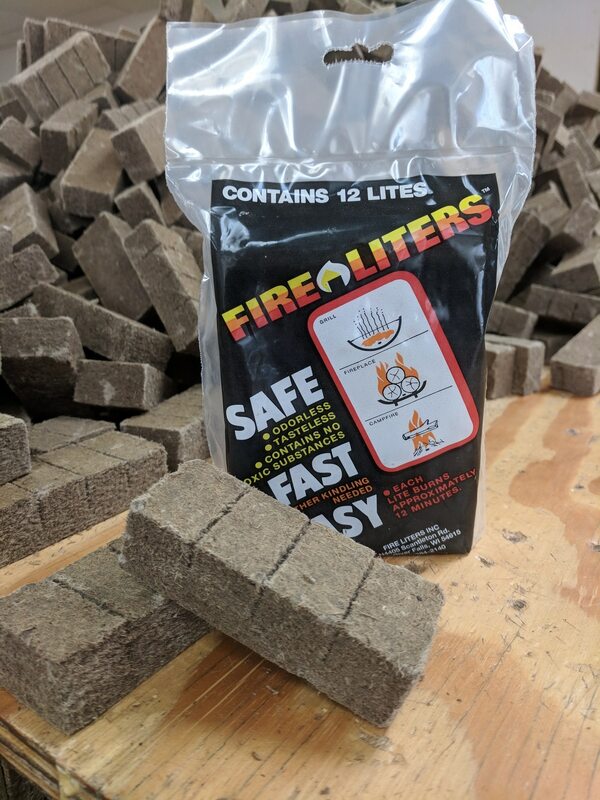 Pick one up today to give Fire Liters a try and you'll fall in love. *Not available through True Value. The 36 lite pack is a great size to bring on any camping trip or to keep near the fireplace. The 192 Lite Box is ideal for those who like to keep warm by the fire all winter long. Fire Liters are convenient and eliminate seasonality while providing one common source for all your cooking and heating needs. 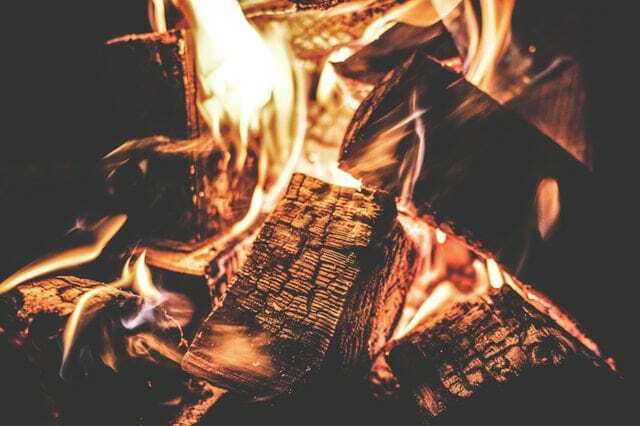 Use Fire Liters to light fireplaces, wood burning furnaces, pellet stoves, campfires, charcoal grills or else anything with a flame. Each block lights easily and burns up to 12 minutes to get even the toughest fires going! Fire Liters are 'SAFE-to-LITE'! They won't flare-up and offer a slow, controlled flame you can ignite while holding in your hand. They're also waterproof and lightweight and will survive even the harshest of elements. With an unlimited shelf life, you can keep fire starters until you need them and never have to worry about leaking, spilling, or odors. 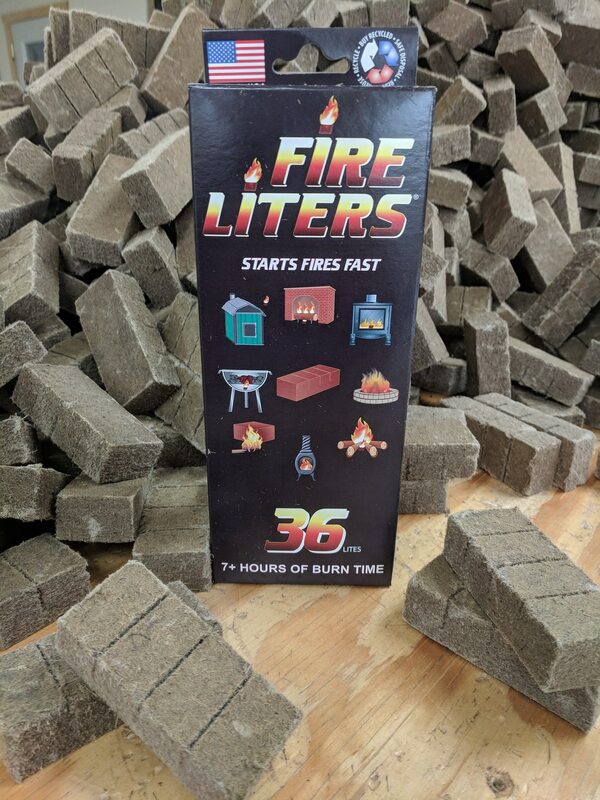 Fire Liters are made from 100% recyclable materials! They're all produced right here in the USA all the way from the raw materials to the packaging and labor. Our products are non-toxic and clean-burning to comply with the California Air Quality Act, so you can be proud of buying great, environmentally-friendly products.